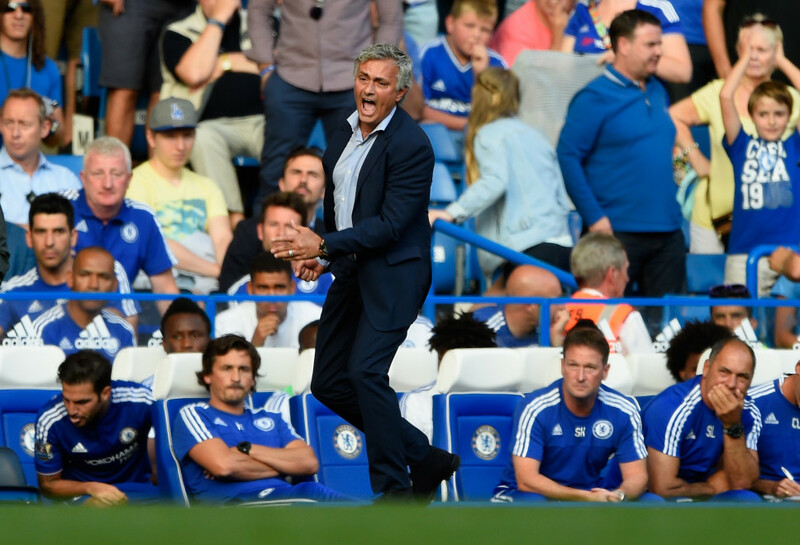 Home Features Chelsea are Facing a Title Decider…in August? Chelsea are Facing a Title Decider…in August? To begin with, I’d like to thank the fixture computer in all its infinite wisdom for generating this match as the second match of the season. On Sunday afternoon, Chelsea travel to the Etihad Stadium to take on Manchester City in a match that’s already being billed as the match to begin to decide the champion. Let’s not lose sight of the fact that this is just the second match of the season and a lot can change between now and next May. However, should the Blues travel to Manchester and lose, questions of mental strength, fitness, and lack of transfer activity will once again be raised amidst the reality that Chelsea will trail City by 5 points this early in the season. August is much too early to determine who will be champions in nine months’ time. To focus on this match, both of these two teams are coming in to this contest on markedly different paths. Last Saturday, Chelsea slogged through a 2-2 draw at home to Swansea City in a match that saw Thibault Courtois sent off for taking down Bafetimbi Gomis in the penalty area and some remarkably slack defending from a Jose Mourinho-managed team. On Monday night, City traveled to the West Midlands to face West Bromwich Albion and emerged with a convincing 3-0 win, featuring goals from David Silva, Yaya Toure, and Vincent Kompany. Regardless, form is tough to gauge this soon in the season, and with this being the second match of the season, it’s hard to predict what exactly those results mean entering Sunday’s match. If you’re a neutral and you expect entertaining football, this isn’t the fixture for you. I don’t think any Chelsea supporter is under any illusions as to how the Blues will set up against Manchester City. One of the remarkable things about Jose Mourinho is his ability to set his teams out in certain matches to simply nullify the opposition’s threats. Call it “parking the bus” or whatever you’d like, but the fact is that defending is a part of the game of football and many managers are either unwilling or unable to set out a proper defence. Two seasons ago, Brendan Rodgers commented that it wasn’t hard to set a team up to just defend. As recently as last season, Manuel Pellegrini himself offered up the idea that big teams have a responsibility to entertain. However, both sides, even this season, still have questions asked about their defences, and it’s one of the negatives mentioned when talking about them as title contenders. Even Arsene Wenger began to think a bit more about being solid defensively by trusting Francis Coquelin to be a dedicated holding midfielder, and it nearly saw his side mount a serious title run at the end. Mourinho’s philosophy about these big matches, especially ones that are away from home, is don’t lose. The reason is simple. If you don’t lose, the worst that happens is you each drop 2 points and neither gains any real advantage in the table, especially drawing big away matches. It’s a philosophy that has worked wonders. In the last two seasons under Mourinho, Chelsea have not lost a single match, home or away, to any of the other sides that finished in the top 5 last season. There were some really boring draws amongst a few, namely two years ago away to Manchester United, but in the end, the Blues mounted a run at the title in both seasons and won it last year. Obviously, something about his way of think must be correct. However, so far this preseason, Chelsea’s defence has looked shockingly below average. It’s something that was a concern in preseason that is a concern now in the league campaign – what is wrong with the defence? This preseason was marred by a large number of errors, particularly errors committed by various members of the back four. Cesar Azpilicueta was getting beat one-on-one, Branislav Ivanovic looked a little off the pace with everything, and Gary Cahill and even John Terry looked slow to react to things when they were on tour in the States. You can chalk all that up to a lack of match fitness during preseason, but in the match against Swansea, those errors began to once more rear their ugly head. The biggest concern for me against City is the pace that they possess in attack, especially with City having added Raheem Sterling as a potential complement to the pace of Jesus Navas. Last season, Chelsea’s back line didn’t handle pacey players particularly well, but they had Nemanja Matic operating as a great shield against that pace. Against Swansea, Matic had one of his worst games in memory, and both Ivanovic and Azpilicueta both regularly struggled with the pace and skill of Andre Ayew and Jefferson Montero. Not only can City call on Sterling or Navas, but they also may choose between Sergio Aguero or Wilfried Bony, or both, who both possess pace. Most likely, Matic will not be tasked with shielding the defence on his own, but he will have to play better to prevent City from doing the one thing that Chelsea’s defence hasn’t dealt well with in the past – pace. How much pressure will Manuel Pellegrini feel he’s under to “entertain” as a big club should? Even in the lead-up to this match, Pellegrini hasn’t shied away from his comments about big teams needing to play attacking football, even using that great term “park the bus” when referring to his opposition. That begs the question, what formation does he plan on using? Logic and pragmatism would dictate that if you know you opposition is going to play, you should choose a formation that gives your players the best chance of success. However, last season, Pellegrini regularly set his sides out with either two strikers up front, one playing off the other, or with David Silva behind the striker and Yaya Toure and Fernando or Fernandinho in the deeper midfield roles. It’s something that haunted them last season, as against the top four of a year prior (Liverpool, Chelsea, and Arsenal), they won 1, lost 2, and drew 3, and that’s not including splitting last season’s Manchester Derby at 1 apiece. Generally speaking, it’s the one flaw in Pellegrini’s thought process, and one that gives him the most difficulty. When he plays this formation, both against the big teams in England and against sides in Europe, it tends to leave them short of numbers in midfield, particularly because of Yaya Toure. Everyone loves Toure and his marauding bursts forward, but the fact is that he hasn’t tracked runners back well for a while now and sometimes doesn’t seem bothered about it. Yet, time and again, Toure plays in that deeper position with a partner, and Pellegrini never changes, and usually sees that part of the pitch left exposed. I think it’s part of the reason Kompany and his various defensive partners have had bad patches over the last couple of seasons, mostly because Toure wants to get forward, and Fernando and Fernandinho aren’t traditional ball-winners. It’s left them exposed to one-on-ones, and if Diego Costa, Eden Hazard, and Willian are clicking, they may have problems again. Chelsea’s main question: Zouma or Ramires? Ironically, Jose Mourinho’s normal midfield has a similar problem to City’s. Cesc Fabregas can be brilliant when dictating play going forward, but he lacks the tactical discipline going backwards tracking runners to really be effective in that role alongside Matic. That’s often meant that in big matches, Mourinho sacrifices the fluidity and unpredictability that the trio of Oscar, Hazard, and Willian give you, but you also decrease the chances of a team taking advantage of Fabregas playing deeper. His two solutions last season were to play Ramires alongside Matic deeper, and if needed, push Ramires to the wide right position and bring Willian central. However, last season with injuries and such, Mourinho discovered the ability of Kurt Zouma to play a destroyer role alongside Matic and demonstrated that ability to great effect in the Capital One Cup against Tottenham. I would expect that Ramires will play, although I wouldn’t be surprised to see Zouma start, particularly if he feels City will play Silva behind a striker with both Navas and Sterling on the wings. Remember, the last time Chelsea played a center back in holding midfield at the Etihad, it was David Luiz alongside Matic, and Ivanovic nicked a goal on the counterattack for a 1-0 win. Could that happen again? Asmir Begovic, you wanted a chance. Now you have one. Everyone under the sun had to wonder why Begovic signed on to be the number two goalkeeper behind Courtois when he could have started for any other team in the Premier League. Begovic made the comment that he backed himself to challenge Courtois for that starting spot, which as a professional footballer, your confidence should be such that you truly believe that. It wasn’t intended to go this way, but in the second match of the season, Begovic has a chance to put some pressure on Courtois as he finds himself as the starting keeper on Sunday after Courtois’ sending off last week. After coming on in difficult circumstances last week, Begovic played rather well; making a couple good saves to keep the match at 2-2 after conceding a penalty immediately after entering the match. However, it was just 30 minutes of work, and if you watched his preseason, you saw that he looked a bit shaky in simple situations and on simple saves. I would expect, given his track record at Stoke, that he should be fine on Sunday. But the important thing is that Begovic backed himself before the season to challenge Courtois. Now he must step up and show that he’s capable of doing so.